The premium marketplace areas are created to promote and highlight our partners. 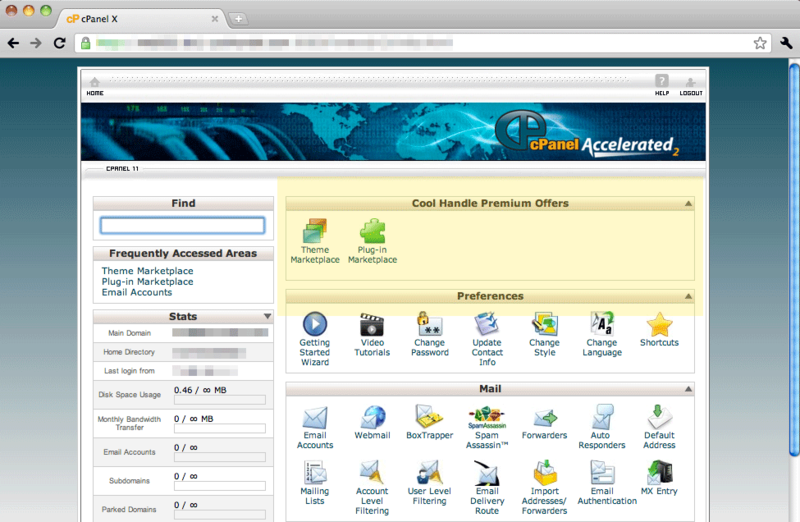 This is the main CPanel home page. This page shows all the management options to the user. The premium marketplace links are always at the very top of the page and are visible to all users. This screen capture displays the Premium Plugin Marketplace. 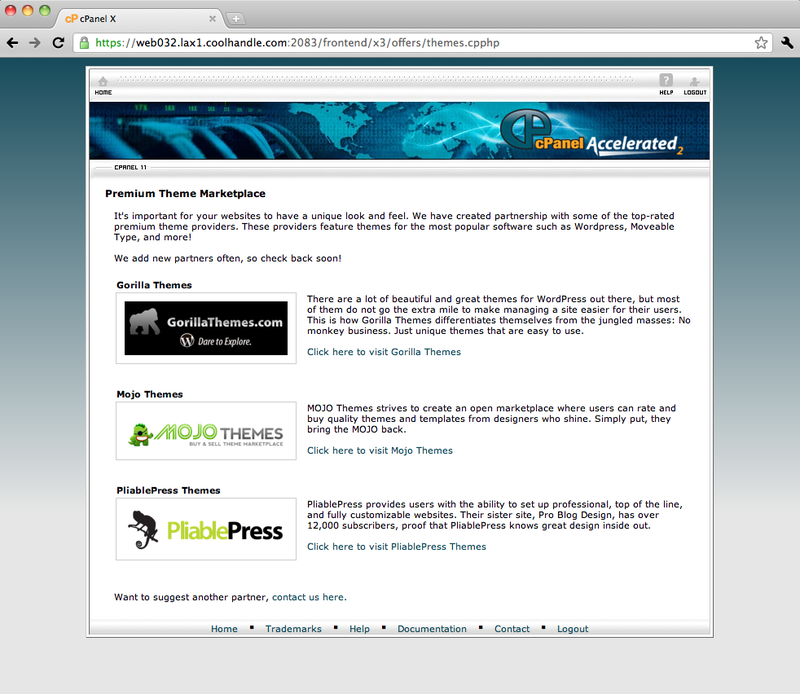 On this page we highlight our plugin and software partners. Depending on our partnership, we can offer a highlighted and top placement on this page. This screen capture displays the Premium Theme Marketplace. On this page we highlight our theme and design-oriented partners. Depending on our partnership, we can offer a highlighted and top placement on this page.